Also I'm selling this little charm braclet for just 13$ shipped :) (to the US only! I don't want this small package to get lost, also i'm a little uncomfortable with shipping international!) 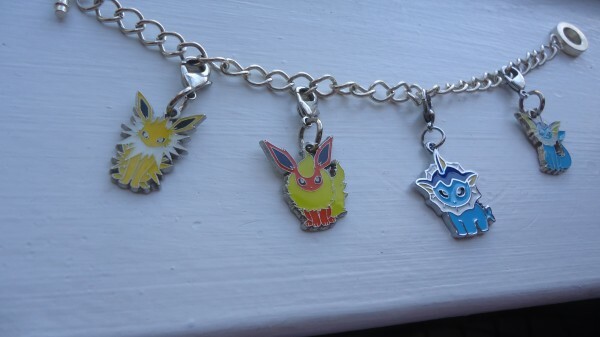 It has the Pokemon center charms Flareon, Jolteon, and Vaporeon. Also with winterwish's custom pokedoll vaporeon charm! I don't wear it because I'm afraid I might ruin them, but the bracelet is really cute ^^. oh my sales permission was granted by entirelycliched at the beginning of the year. My feedback is here! With the holidays so close, I was just wondering what was topping everyone's wishlist. Not necessarily a crazy grail, but maybe something you asked for this year? 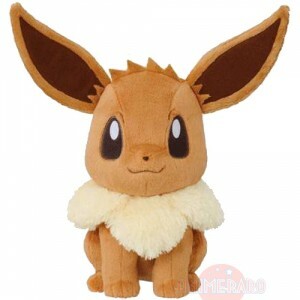 I'm hoping for an HQ eevee myself, after seeing everyone's review of a cuddly plush! Anyone else ready for some unwrapping next week? Hi Guys! I'm Appledash16, or Apple for short. I just joined today, and I am super excited to get to be apart of this community! 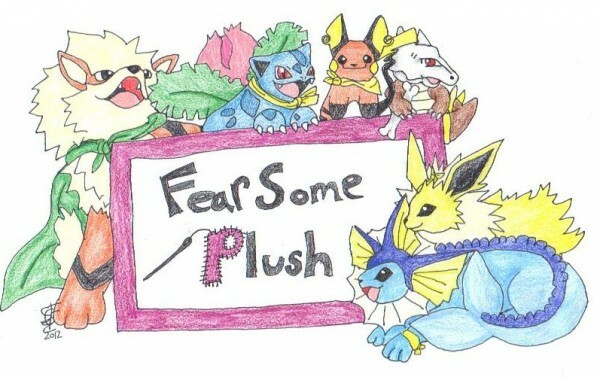 Not shown: Azurill Hasbro Plush, and a Torchic Hasbro plush. I should be getting more things over Christmas... So... I'll update it when I do! I have a question though.... Does anyone have a Shadow Lugia Pokedoll for sale? Preferably with tags? And under $30? Or am I just being stupid? Thank you all, and I hope I will have bunches of fun on this community! Got my holiday card from ktmonkeyj today! Thank you ktmonkeyj I love it so much. 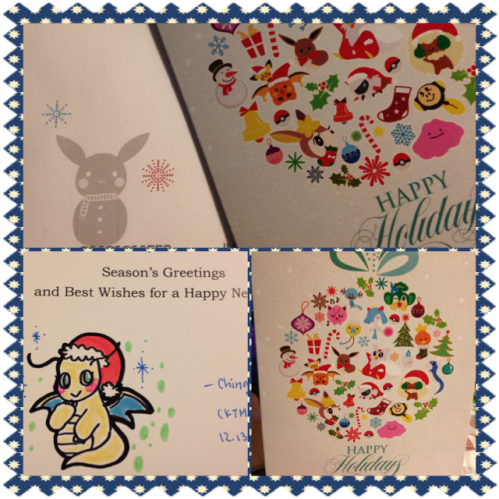 I also love the hand drawn little dragonite you added on the inside of the card. It totally made my day. :) I will be adding this cuteness to my wall of stuff. Thank You and Happy Holidays Everyone!!!! Hello everyone may I present to you my first sales post, if you love custom plush please take a look! 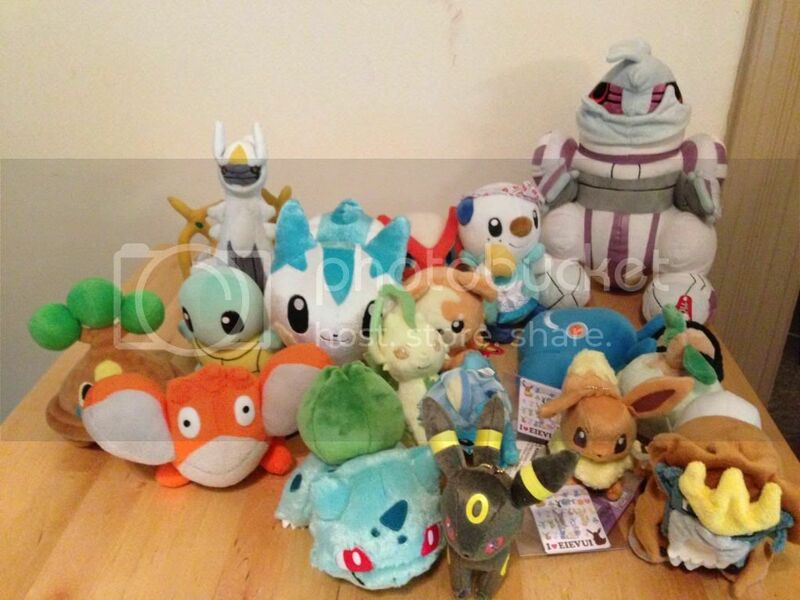 rare pokedoll, plushplush, dx pokedoll sales! Got some collection weeding to do! 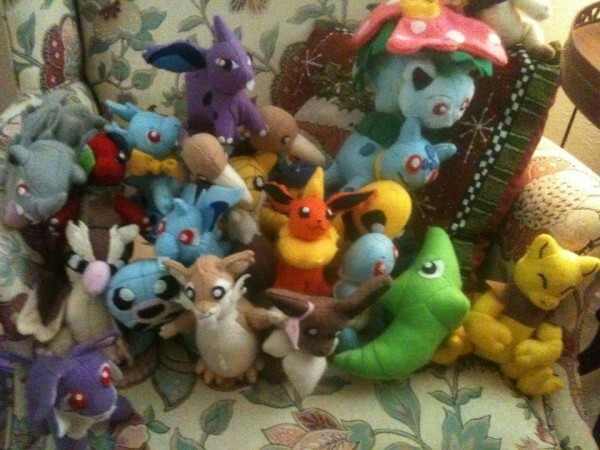 This time, I have some rare plushes and some figures. Here's a preview. Check it out under the cut! Final sales of the year! 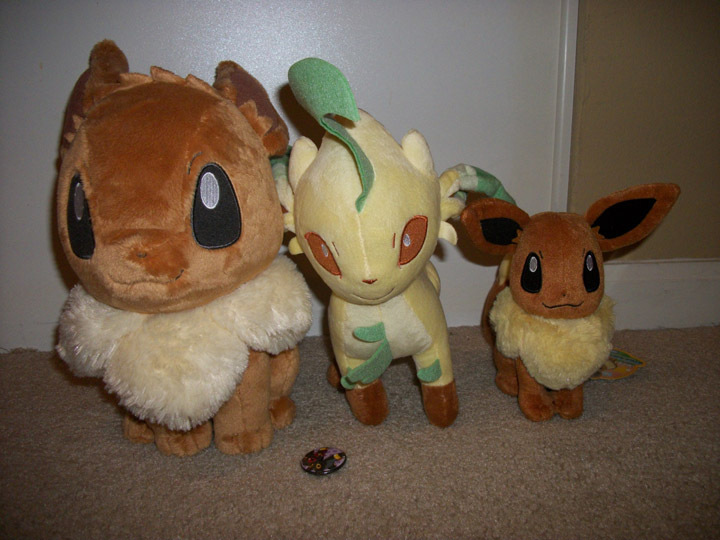 Have some new eevee items up for sale!! Also have mega blocks and low prices! I'm not sure if I'm going to find these cards here, but I thought I'd give it a try. There is one auction on Ebay for them, but the person that is selling them seems to price things way too high. I'd like to see if anyone here would sell them to me for a decent price. 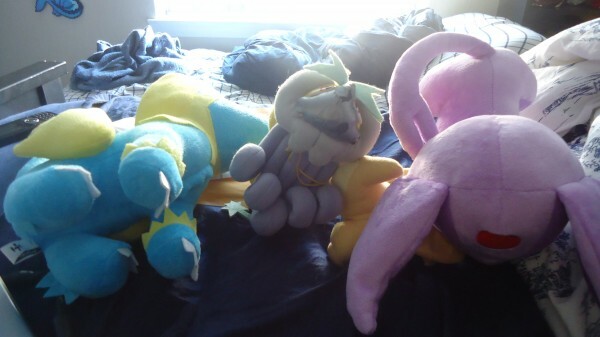 Along with this, I am looking for Slowpoke line plush and charms of Psyduck and Golduck! I'm pretty open on prices, as long as I'm not getting a really bad deal!